This is the business report which is aimed to conduct the research on AIS/ERP Systems for the client. The business which requires this software to operate the business is needed to understand the importance and working of the software. The research on the business software is the purpose of the report and to understand its importance in making investment decisions for accounting software. The information systems are important for the business. This business report aims to explain the business process, business requirements, system requirements and software selection according to the case studies. The different aspects or features of client’s business are discussed and explained in this business report. The AIS and ERP software are accounting software which is used for the business and helps the business to make the investment and other decisions. 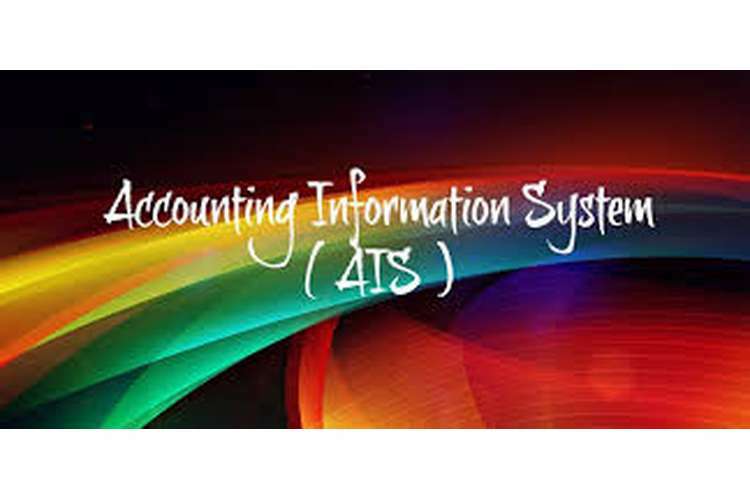 Accounting Information System is the programs which are built to manage the accounts of the business. The accounting software is included in the business programs to store the information related to business and manage the information. These software helps to record the transactions related to payroll, account receivable etc. There are several of accounting software which is used in the business to manage the transactions and record data and information (Soudani, 2012). This softwareis MYOB, Saasu, Cashflow Manager, Quick Books, XERO, Reckon One etc. This case study is based on the company which sells CDs and Vinyl Records and is owning a small business in Sydney. They are selling the products from the physical shop and recently started up a new online business channel through Ebay which is necessary to expand. With this expansion, the company is facing the requirement of strong accounting software. The company needs effective software which can help the company in expanding the business properly and manage the transactions and functions of the business on daily basis. The business process of the company is to sell the CDs and Vinyl Records which are a major feature of a new generation. They are selling the CDs on their physical outlet, on orders as well as the business is introduced to start online. The business has introduced new business channel via Ebay. Business requirements are the strong business accounting software to manage the accounts of the company which is operating in different places. The business is required to manage the business transactions which affect the business and its working on daily basis. The business can improve the transactions with the use of strong and effective accounting system (Soudani, 2012). The business is dealing online and offering CDs and records online which can create confusions as the numerous CDs and records are offered by the company. To manage these and pricing them the software in the systems are necessary by the company. The system software which the company must consider should have the managing ability of the daily traffic and accounts of the company. The transactions of the company and resource planning arenecessary by the company to be managed. The various accounting software options available with Disk4U business are Sage, Reckon One, Cashflow Manager and Quick Books (Soudani, 2012). This accounting softwareis required by the business for improving the performance of the company. The role and functions of each software include different features which the business can use in their operations. The business can opt one of the accounting software from these which is the most suitable. This software is easy to use and isspecially designed for the small business and sole traders. The start-ups and other small business are the most effective users of this software. The software is built for these small and newly start-up businesses. This software facilitates the desktop or online accounting which allows to invoice the customers and provide the secured transactions with the customers. The business accounting performance and management of stocks, VAT, and budgets of the business are properly managed under this software. The software facilitates various features such as it provides management of income and expenses of the business. It also helps in easy bank reconciliation and maintains accuracy in bank accounts. This software provides professional and commercial invoices to the customers. The software accepts an unlimited number of transactions. It also automatically calculates and submits the VAT returns on time. The software is affordable and not much costly. Its prices star with $ 6 to $ 200 and more per month (Rainer et.al, 2013). The Reckon One is the easy and effective accounting software especially introduces for the small business enterprise and medium enterprise. The business can take smart decision to work on the Reckon One accounting software. This software is simple and easy to use and it is also designed for large business which has extra functions. The software can be updated according to the size of the business. The Reckon One is popular for the amazing features it provides which includes the improved productivity, online signature of customers and management of file online, advanced reporting of the company, it also provides tax lodgement, compliance value added of document, it facilitates performance reporting to the company regularly, simple data collection, and help in alerting about the deadlines and automation of emails are also provided by this software. The software is affordable and rates of the software start from $ 5 to $ 200 (Marthandan and Tang, 2010). The advantages of this software are easy business loans, it shares files with customers, new business can be registered with this software, and it is simple accounting software. This accounting software features with simplicity. The working on the software is the simplest software on the planet which provides easy and simple operations of business. The business running online can be properly managed. The features of the software are included easy accounts, saved money, time-saving, easy to use which provide an avoidance of training and demo in software, free support services with customer services, the software also provides the money back guarantee. If the business is not satisfied with this software there is the option for the company to get their money back for 3 months. The prices of this quick and easy software start from $ 20 which goes till $ 697 and more as per the business requirement of the software. This software is affordable and is very useful for managing the accounts of the companies which have gone online. The system has automatically completed the transactions and submits the returns. The system solutions are also properly managed and provided to the clients. Accounting issues are cleared and fewer errors are provided by the use of software(Marthandan and Tang, 2010). Quick Books is one of the important software which can be used by the small business enterprise for enhancing the accounting management of the business. The quick books are the easy accounting software which does not need any experience. This software is easy to use and understand and can be operated by anyone. The quick book's softwarecreates invoices, it also facilitates with tracking of the payments, it manages the taxes of the business. The software also features with easy invoicing, email invoices to the customer directly, track and monitor the receivables, it also sends payment reminders, payment receipts are also sent, the creation of recurring invoices are also done by this software. It provides free payroll and is also available on phones. The advantages of this system are summary of the business on home screen, timeline view of recent transactions, balance sheet and other details of the books are available in just one click, and business performance and cash flow are graphically represented in this software which is the effective approach to it. It is always secure and up to date (Schorr et.al, 2013). This is easily accessible and always backed up. The four software which is essential and effective for small business enterprises are above mentioned in detail. This softwareprovides the company with proper planning of the business accounts and manage them in the manner to easily access them at the time. The management of the accounts and dealing the business online is very important to maintain the balance in managing the accounts of the business. The Disk4U is the company which introduced the business online must select the accounting software which is more appropriate to the business. Software selection by the organization is based on the business dealing with the customers and the medium the business is selecting to conduct the business. The business is dealing with the customers via physical outlet as well as via online business channel. As the business is moving in online business and being a small business it should consider the Sage accounting software or Reckon One accounting software as the important software. As this software are easy to handle and are less costly than the others. The software which the company must consider must be capable of managing the online client’s invoices requirements and the maintenance of account books must be properly done by the software (Schorr et.al, 2013). The case study of Sungate is based on the company which is dealing in the foods and the production of foods. This business is a large business having huge business operations. The company is milling up to 80 tons per hour especially on the peak times. The company owns the staff of 100 people having three warehouses of locations. The company also owns the huge storage of the rice and other food products. The Sungate purchases from 350 farms and then pack them, distribute them and sells them domestically and internationally. The business of the company is expanded overseas which makes it more complex and necessary to manage the accounts automatically. Manual work of such complex business can risk errors. This is important for Sungate foods to work on accounting software so as to manage the accounts and their operations successfully. The business process of the company is to produce the rice and foods materials which are also collected, packaged, distributed and sold to the domestic area and international area. The business process is to maintain the accounts of international business as well as domestic business (Soudani, 2012). The Sungate foods are staffing 100 people in the company and managing the accounts of the business overseas as well as domestically. This brings the company a requirement of accounting software. The business requirements of Sungate foods is accounting software. The company must work on the accounting software which can provide overall management and control of the organization's operations. The business requires strong and accurate accounting software which can provide the help of maintaining the accounts and business operations properly. The system requirements of the business are based on managing the business reports. The business reports of the company are very complex. They are generated from various sources which took the employees a week to manage them. This is the requirement of the system to get the accounting software which can help the business. The business operates in international as well as a domestic market which makes the business operations complex and big. The major operations of the business depend on the demand of the countries related to food. The food production gets affected by demand and supply of the company. This brings the company to the conclusion to purchase the software which is adequate in usage and has the benefit of using them. There is various software which can help the Sungate Foods in managing the accounts. This softwareis MYOB, Xero, Nominal, Saasu. This accounting softwareis very useful and are helpful for the company Sungate foods. This softwarehas various features which the company can use for maintaining the accounts and complex business working of the business (Soudani, 2012). This accounting softwareis required by the business for improving the performance of the company. The role and functions of each software include different features which the business can use in their operations. The business can opt one of the accounting software from these which is the most suitable. The accounting software which the Sungate foods can use for the business and its operations is MYOB accounting software. The MYOB accounting software is Mind Your Own Business in which the company secure its information and data and provides the various accounting services. This software features in helping accounts simplifying the success. The software is designed for small as well as large business organization for achieving the success in the organization. The MYOB is the software which provides various services such as better managed finances. This software also helps the quick operations and transactions and saves the time of the company. This increases the productivity of the organization. The software promotes stay ATO complaint. The software is providing the company a leading way. This software was titled most innovative large company software as this has created smart bills (Pecchiar, 2012). This software not only manages the accounts of the company and bookkeeping of the business but also provides the consultations to the company. The software has any other applications which work related to the business or the industry of the company which helps in getting the benefit. The MYOB accounting software is costly but effective. Xero accounting software is one of the most used and popular software which is used by the companies for gaining the success in the business and maintaining the accounts of the company. The Xero software promotes the reduction of the paperwork and getting things done online or on computers. This accounting software provides the facility of increasing the online work in the business and reduce the paperwork. The software also promotes the strong work and not temporary. The software facilitates the work which is last longer and clear. The software provides the pay with online invoicing. These effective and impressive features of the software attract the clients to go for. The software facilitates with the app which makes sure the person can get online anytime, anywhere. With easy application, the business can run on the mobile phones just by a click. Faster receipts by online invoicing, reconciliation are done inseconds. This software features many other which are invoicing and quotes, bank reconciliation, inventory, mobile application, pay to employees, purchase orders, acceptance of bills. The softwarealso promotes 500+ apps. Xero software is effective yet affordable by the small business with a small budget. The starting price of this software is $ 25 monthly to $ 60 monthly and more depending on the business working (Smith, 2015). Nominal accounting software is especially designed for the small business and not accountants. The business which has feweroperations and easy working with a small budget have the option of Nominal accounting software. This software is easy to learn and handle. It also has some great features. The business accounting software is facing the tough competition, this software is nominal as the name says and not expensive as well as is much featured. The software is a feature in simplifying the payroll and inventory, keeps up to date. This software needs the bank account of US or EU of a client. It saves time and cost of the company, easy to learn yet easy to use. This software also featured of working online or offline as per the convenience of the client. This is set up from excel. The performance of the software is excellent and is very much used by the small business. The total cost of this software for a year is $ 99 which increases as per the features the client wants to add and the support charges depend on the monthly package client takes (Chen et.al, 2014). The accounting software having the immense capability of achieving the success. The Saasu is the accounting software which provides the company very accurate and managed information of the accounting. The small business accounting software which has the nominal and affordable prices offer the customer satisfaction. This software provides the company to complete the books and accounts fast, it enables the company in sending invoices fast and pays the customers to pay them online. The software is effective as it is providing a separate live dashboard to everyclient which enables the client to see bank balances, sales, payments online. The professional invoices are provided to the customers by this software, online payments are made easy and fast with this, easy expenses are promoted, bank feeds and cash flow forecasting is also done. Powerful inventory is facilitated and easy payrolls are also promoted by this software. The software is providing the option of multicurrency to get the customers from the international base. The customer database is also provided by this software and enables pure marketing online. This software is effective and this brings the company towards it. This software is cost effective as it is available to the company for just $ 15 per month with such amazing features (Hossack, 2015). The business Sungate Food is involved in producing rice and milling up the tons of rice to the international and domestic based customers. 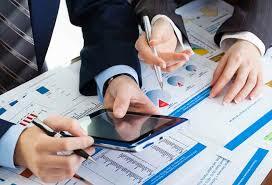 The business is dealing in many countries which bring the business in a need of managing the accounts and the books properly and with the multicurrency facility. The Sungate food must consider the Saasu accounting system for this company to manage its accounts and books so as to handle it properly. The budget of the business is not high, for the same reason, the business must go for Saasu accounting information system. The company must use the Saasu accounting information system for proper management. From the above report, the two case studies which are discussed have the different situations. The Disk4U is the company which is small business expanding the business online which needs the support of management of accounts and business transactions. The other case is of Sungate food which is large business and needs the accounting software to manage the books and accounts of the organization. Both the business requires different accounting information systems to run successfully. This report helped in understanding the business and business management. The prices of the software depend on the business needs which become the effective point for the business. Chen, C.X., Trotman, K.T. and Zhou, F., 2014, “Nominal versus interacting electronic fraud brainstorming in hierarchical audit teams”, The Accounting Review, 90(1), pp.175-198. Hossack, S., 2015, “Cloud-based accounting and productivity tools for practitioners and taxpayers”, Taxation in Australia, 50(5), p.265. Marthandan, G. and Tang, C.M., 2010, “Information systems evaluation: an ongoing measure”, International Journal of Business Information Systems, 6(3), pp.336-353. Pecchiar, G., 2012, “Upgrade to WMS, keep QuickBooks and MYOB”, MHD Supply Chain Solutions, 42(1), p.24. Rainer, R.K., Cegielski, C.G., Splettstoesser-Hogeterp, I. and Sanchez-Rodriguez, C., 2013, “Introduction to information systems”, John Wiley & Sons. Schorr, M., Sylvester, M., Dopf, G., Henrich, D., Liebich, G., Conrad, M., Reccius, A., Klein, M., Hohendorf, M., Roesinger, A. and Soltek, R., 2013, “Providing accounting software application as enterprise services”, U.S. Patent 8,442,850. Smith, H., 2015, “Xero for dummies”, John Wiley & Sons. Soudani, S.N., 2012, “The usefulness of an accounting information system for effective organizational performance”, International Journal of Economics and Finance, 4(5), p.136.